Please fill out the form to request a copy of “Credit 911” by Rodney Anderson. One of the most prolific mortgage professionals for more than 28 years, Rodney is the one of the country’s top originators of FHA/VA loans, and has achieved an overall ranking as the highest originators of overall mortgage loans in the U.S. Turn times may vary as each loan is different and unique. This is not a guarantee. This website is not authorized by the New York State Department of Financial Services to accept mortgage loan applications for properties located in New York. For New York applicants, please visit our New York authorized website: SupremeLending.com © 2017 EVERETT FINANCIAL, INC. D/B/A SUPREME LENDING NMLS ID #2129 NMLSConsumerAccess.org 14801 Quorum Dr., #300, Dallas, TX 75254. 877-350-5225. All rights reserved. 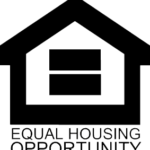 Supreme Lending is an Equal Housing Opportunity Lender. This is not an offer to enter into an agreement. Information, rates, and programs are subject to change without prior notice and may not be available in all states. All products are subject to credit & property approval. Supreme Lending is not affiliated with any government agency. Intended for Texas consumers only, Texas – SML Mortgage Banker Registration. Residential Mortgage Loan Originator.